Health food and drink producer Evolution Fresh started National Green Juice Day as a way of encouraging those who’ve made a New Year’s resolution to stay or get healthy. The company suggests consumers drink green juices to promote good health. Green juices consist of a variety of pressed vegetables and fruits — making them a healthy alternative to other foods. On January 24, Evolution Fresh partners with HelloFresh to provide home delivery of fresh green juices. 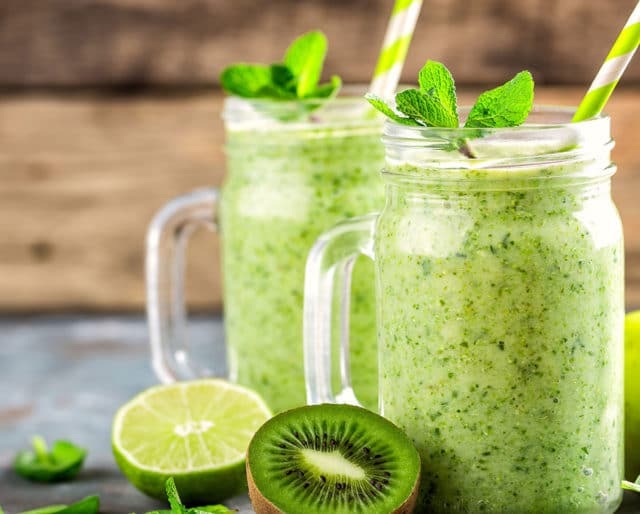 More than $130 million worth of fruit-based cold-pressed juices were sold globally, while revenues from global sales of vegetable-based cold-pressed juices reached $85 million. Hollywood celebrities ignited a trend of replacing solid food with green juices. Author and raw food proponent Dr. Norman Walker created a mechanical juicer that ground vegetables into tiny pieces. It's still considered one of the best juicers on the market. A variety of green juices can be found at your local grocer or health food store. Replacing that soda or even iced coffee with a healthy green juice can help your skin, boost your energy, and promote weight loss. If you've made a resolution to get healthy by eating better and exercising, let National Green Juice Day give you encouragement to keep it going. While enthusiasm for resolutions might wane as time goes on, yours doesn't have to. Green juice can become a daily reminder of the importance of maintaining good health. Evolution Fresh offers free drinks and delivery in select cities on January 22! This juice includes cucumber, mint, and grapefruit. You can let it sit overnight if you need to. Romaine lettuce, celery, kale, watercress, and ginger make up the ingredients for this tasty green juice. You'll need lemons, a lime, peeled oranges, and a celery stalk to make this twist on the morning glass of OJ. This morning drink features cucumbers, Granny Smith apples, lemon, and raw honey. This is a concoction of pineapple, cucumber, pear, spinach, mint, nectar, and chia seeds. Surveys show that New Year's resolutions start to fade somewhere around January 12. National Green Juice Day is more than just a reminder to eat healthy; it encourages you to stick with that resolution and continue on your way to a healthier lifestyle. Fruit and veggie drinks come in a whole variety of flavors, and there's surely one that you'll find delicious. They're more than just broccoli or Brussels sprouts in a blender; companies that produce them bring a chef's flair to the process. The result? Tasty drinks!